It would be a long filmy career for actor Biyon who made his presence on silver screen with Oru Vadakkan Veeragatha in 1989. Starting from there, Biyon had completed 2 decades of acting experience, sharing screen space with many legendary actors. With more than 50 movies in credit, Biyon had given life to many memorable characters. During his busy schedule shuttling from location to location, SpiderKerala was too lucky to get the actor for an exclusive telephonic interview. In our half an hour talk, Biyon happily shared his thoughts, career in movies and about his upcoming projects. "I started my acting career in 1989 with Oru Vadakkan Veeragatha, my first appearance on camera. Known as 'Master Biyon' from the time, I had been a part of the malayalam film industry for the past 23 years. I am too lucky to work with some of the legendary actors during these years. says Biyon. When asked about his favourite character, Biyon said "Even though all characters are equal to me, I think my role in Thenkashipattanam would be unforgettable. It was one of the best opportunities that I got during my younger age. It is exciting to known that people still watch the in Television with the same thrill and keep it close to their heart." said Biyon with a smile. Out of curiosity we asked Biyon about his current venture 'Parankimala'. "Yes, I am very excited doing the movie. Even though the title is similar to the 1981 hit movie directed by Bharathan, the story is refurbished and much clutched depending upon the present situations. For the beautiful story written by popular novelist Kakkanadan, Sennan Pallassery has lent his hands to giving magical touch to each frame in the movie. It is a pure love story told heart to heart added with all commercial elements to keep the audience intact. 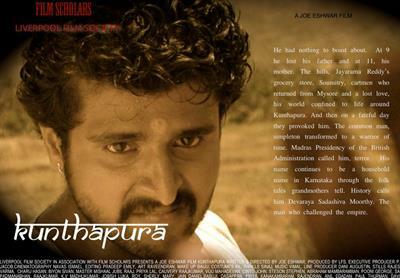 I play the role of Appu in 'Parankimala'. Tamil actress Vinutha Lal will be debuting in malayalam donning the role of Thanka while new comer Megna would be seen as Sreedevi. said Biyon. Known about his upcoming project ‘Chakara’, we enquired Biyon about it details. “Yes, in Chakara, the feature film directed by Nick Fletcher & Stephen Croso, I play the role of Dr. Krishna. Produced by ace British producer Elsa Evripidou, the film is shot in the UK, Spain and Kerala, India. I am too lucky enough to be a part of the venture, being the first malayalam actor to do a serious character in an English feature film. 'Chakara' was screened at the 63rd Berlin International Film festival, but following the suggestions made by the international distributors; the filmmakers have decided to add a more to it. British actress Kasia Mount is my co actress. 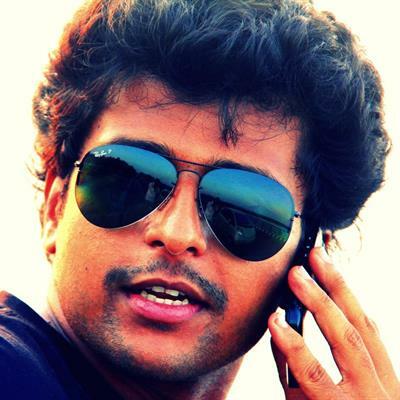 The shooting is being carried out at Thiruvanthapuram and I am enjoying each moment of it.” Biyon said. When asked about his filmy career, Biyon had to dig up his memories. "I have done more than 50 movies in my 23 long journey in the film industry. When looking back, I feel really thrilled. I have got a number of wonderful roles and looking forward for the same in the future. I am having a couple more projects including Kunthpura and @ Andheri which is expected to reach theatres soon. Need blessing and encouragement for all". signs off Biyon. Senan Pallassery, the youngest of the Pallassery brothers is making his directorial debut with "Parankimala'. The screenplay is too done by the director himself. The other cast in the movie include Kalabhavan Mani, Jagadeesh, Indrans, Nadulal,Kalavani Thirumurughan, Binoy Parappangadi,Vishnu Unnikrishnan, Geetha Vijayan, Kalarenjini, Thara Kalyan and Mini Richard. Parankimala is produced by Vijuns and Thomas Kokkat under the banner of VS International and Kokkat Film Company. For the lyrics of Murugan Kattakada, the tunes are set by Afsal Yousuf. The shooting of the movie is currently progressing in Thattekkad.